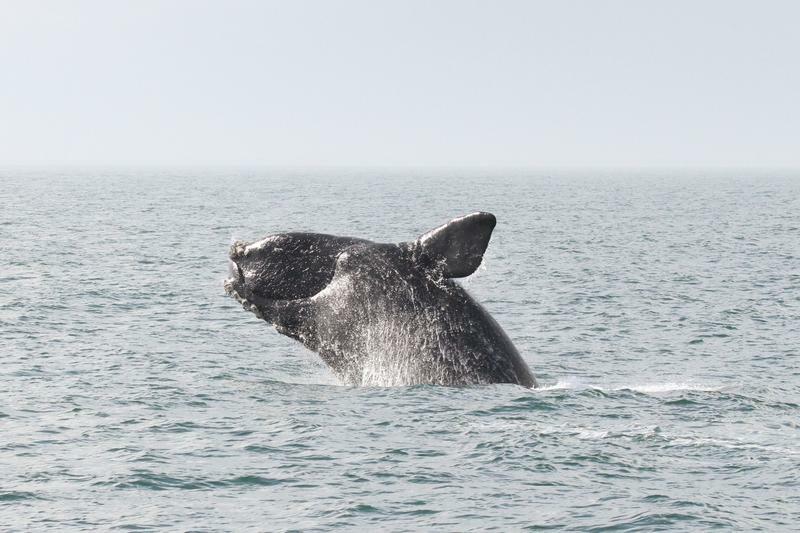 The North Atlantic right whale is Massachusetts’ state marine mammal, and a New England icon. Once hunted to the brink of extinction, the species is again in danger. There are only about 450 individuals remaining, the numbers are declining, and this year was particularly deadly. 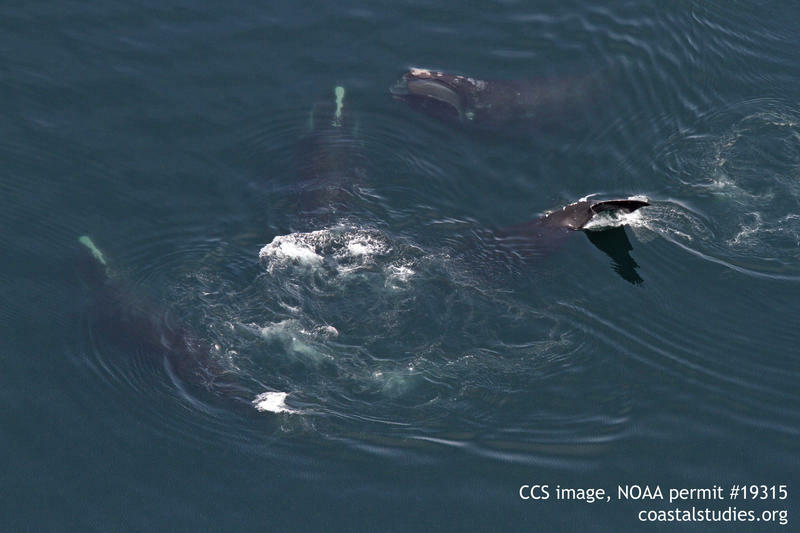 A leading researcher says that, under current conditions, North Atlantic right whales are just two decades away from extinction. But he says there are technologies and policies that could change that. We talk to Mark Baumgartner of Woods Hole Oceanographic Institution, the chair of the North Atlantic Right Whale Consortium. The math for 2017 is pretty clear: fourteen North Atlantic right whales are known to have died, while only five new babies were sighted. It's the most dramatic example yet of what scientists have been saying for a few years, and what a new analysis makes official: these highly endangered whales are on the decline. 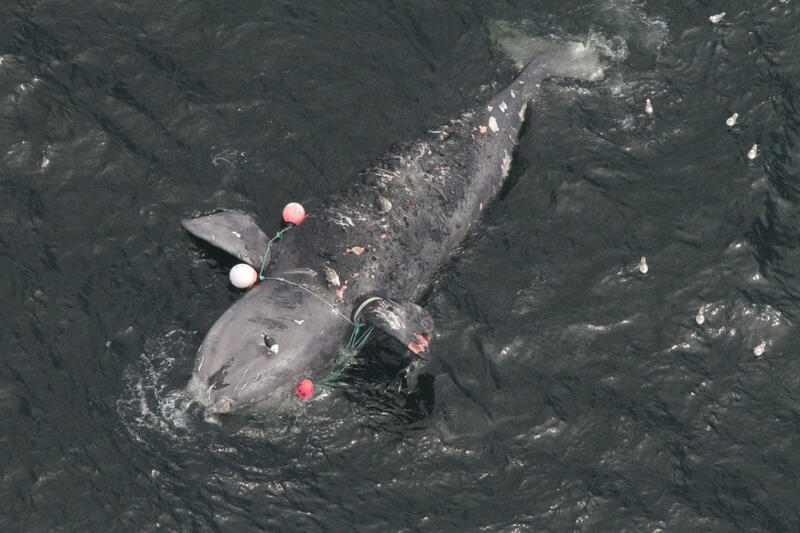 Entanglements and ship strikes are the leading causes of death for North Atlantic right whales, as well as other large whales. The most recent North Atlantic right whale death was a young female who was found severely entangled in snow crab fishing gear. 2017 is shaping up to be one of the worst years on record for North Atlantic right whales, one of the most endangered large whale species. There are only about five hundred individuals left, and numbers have been declining in recent years. A spate of recent deaths has sparked particular concern. 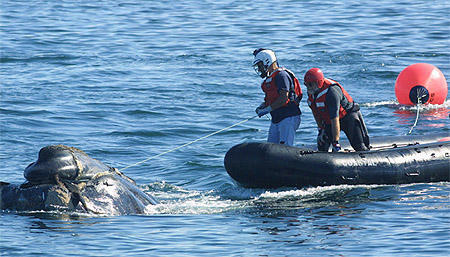 The National Oceanic and Atmospheric Association today announced it has lifted the suspension of whale entanglement efforts on all species except North Atlantic right whales. The suspension was triggered by the tragic death last week of Canadian responder Joe Howlett, who was killed while freeing a right whale in the Gulf of St. Lawrence. 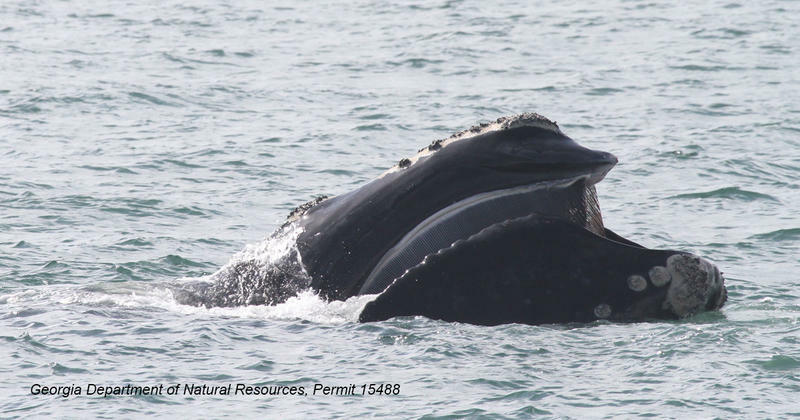 Only 524 North Atlantic right whales remain on the Planet, plus four calves who were born this season. On The Point, we talk with scientists from the Center for Coastal Studies about efforts to monitor and protect the species, including ways to minimize ship strikes and entanglement in fishing gear. We also discuss the recent spate of dolphin strandings in Cape Cod Bay. 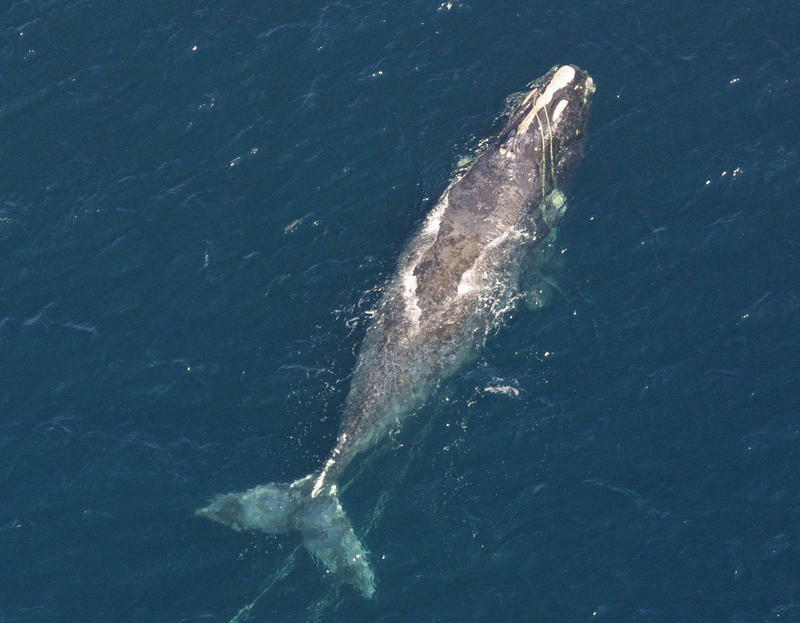 A sharp drop in the birth rate of rare North Atlantic right whales has scientists worried. So far this year, only three calves have been identified. A more typical season might bring between ten and fifteen newborn calves. "It's a frighteningly low number," says Dr. Charles "Stormy" Mayo, a Senior Scientist at the Center for Coastal Studies in Provincetown.